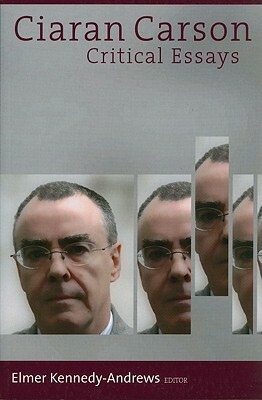 The essays in this volume – one of the few scholarly volumes dedicated to the amazing and sporadically prolific Irish poet Ciarán Carson– start strong, find a middle period slump with associative rather than argumentative articles (it's much more interesting to read about Carson's oral investitures than about his glancing similarities with Jorge Luis Borges, for instance), and end hesitantly. There's much here of interest to readers of Carson and I'd say that, if you can find it, give at least the first six articles here your time. The depth they reveal to the man's work is staggering, vertiginous. I'll dive right back into his poems I promise you.